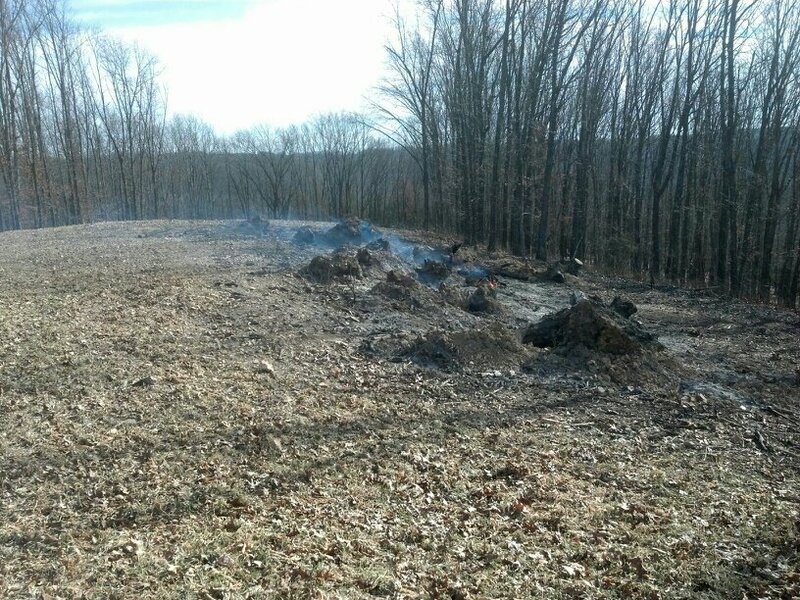 Brian wrote about burning up our debris piles in his blog last week. We took that one step further this week. Not only did we burn up debris piles from past storms but we also burned dozer decks. These dozer decks have laid next to our food plots for a few years with the goal of drying out. Once they reached a point of being dry we could burn them and remove over 90% of the pile. That’s exactly what we did this week! One of the dozer decks after being burned. Once the stumps are pushed away it will be ready to plant. During these last few years the piles have only provided housing to the local groundhogs and snakes, irritation for the tractor operator when trying to plant, and the overall worst thing, obstructed views when trying to hunt. 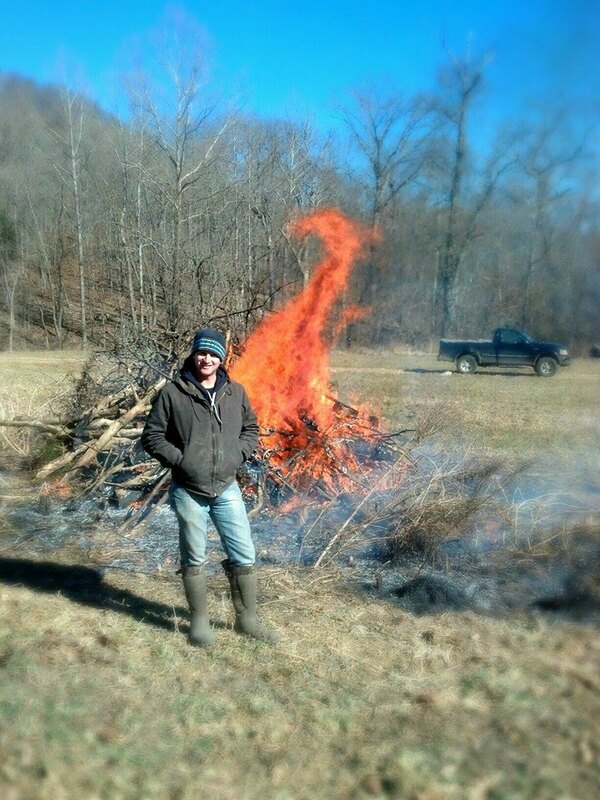 Adam standing next to one of the big brush piles that was in the center of a food plot. All of these have been a nagging element when waiting for them to dry out. Finally, this winter, we decided they had dried enough to burn. We didn’t receive the average amount of rain throughout the growing season when our beans were trying to survive. After we add the groundhog variable on top of that, our beans took a hurting! After debating whether to burn or not everyone at GrowingDeer.tv came to the same answer, Burn Baby Burn! Once they’re burned, we’re only left with root wads that will be pushed off out of the way permanently! We now have open areas that will be great for planting, which is exactly what our goal is. Now that all our work is finished removing the piles, the bare ground is a perfect site to plant clover or even expand our food plot more for Eagle Seed soybeans. We’re turning the calendar from January to February soon so we have some time to decide what we’ll plant. Be sure to follow GrowingDeer.tv to see what we decide to plant and when we do it! As always thanks for the support and good luck on all your off season management projects!